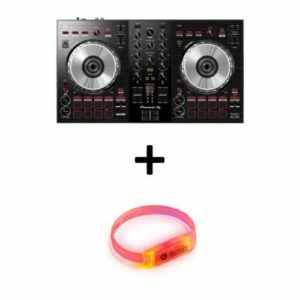 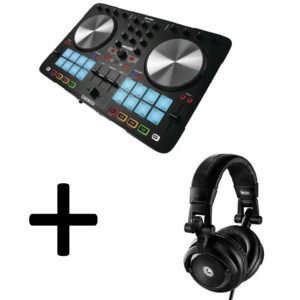 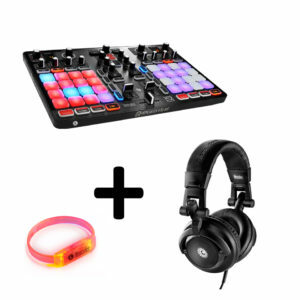 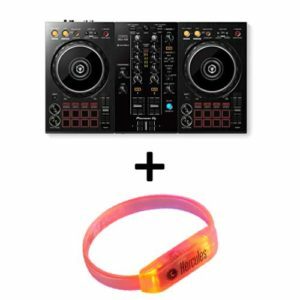 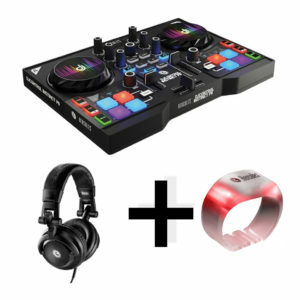 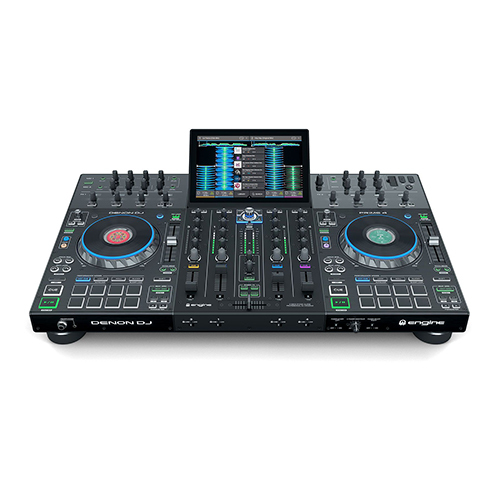 The Reloop Touch is a touchscreen DJ controller designed to provide versatile, tactile control abilities for DJs, remixers, and music producers using VirtualDJ and other software in the studio or on stage. 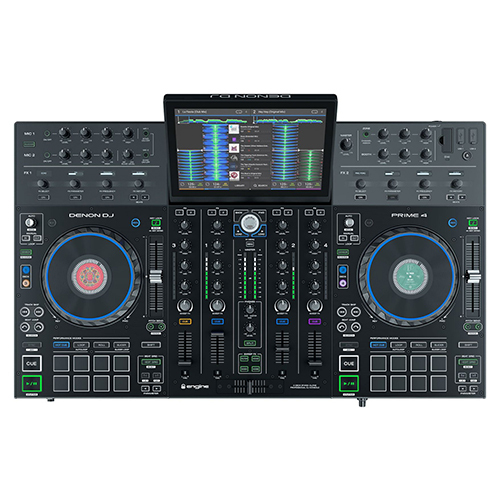 It combines a 7” color touchscreen with a traditional 4-channel club-mixer layout for a blend of classic and modern tech. 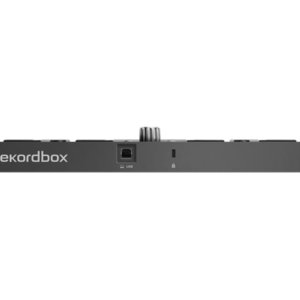 Each of the two high-resolution jog wheels is complemented by a 50mm pitch fader, multi-function XCoder encoder knob, and dedicated fader-FX unit. 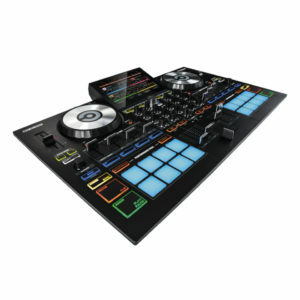 The Native Instruments TRAKTOR KONTROL F1 DJ Controller offers hands-on control of TRAKTOR PRO 2 software’s Remix Decks. 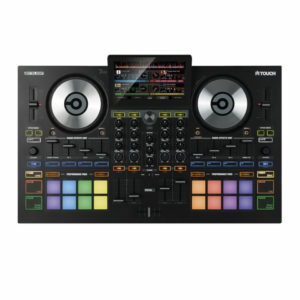 It is a definitive hardware for controlling the Remix Decks in TRAKTOR PRO 2, the flagship DJ software. 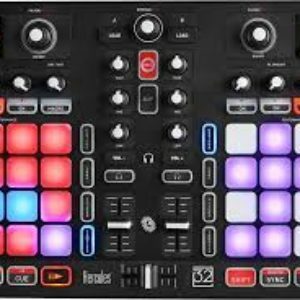 It allows you to launch clips in an intuitive, DJ-centric way, control Remix Decks just like regular track decks, switch between up to 64 tracks, loops and one-shot samples on each deck. 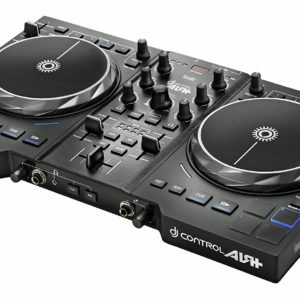 With your signature sound at your fingertips, the controller lets you blur the line between DJing and live performance. 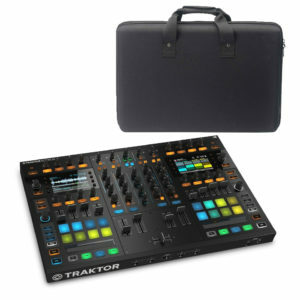 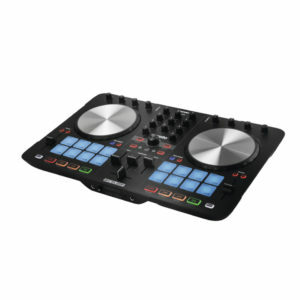 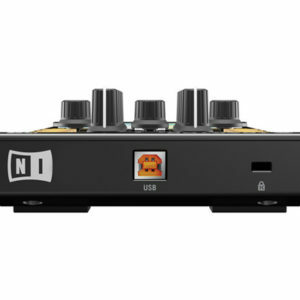 The Native Instruments TRAKTOR KONTROL S8 is an all-in-one combination 4-channel stand-alone mixer, professional audio interface, and DJ controller for TRAKTOR SCRATCH PRO software. 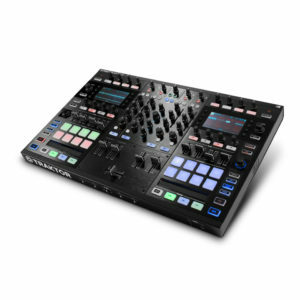 It improves upon the original with a streamlined workflow using the controller’s dual built-in high-res displays, knobs, faders, and LED guided touch-sensitive strip controls. 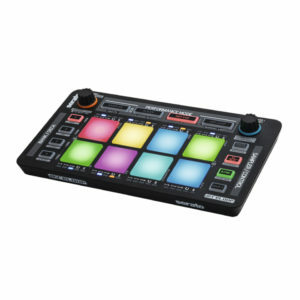 Reloop Beatmix 2 is a performance-oriented 2-channel pad controller for Serato. 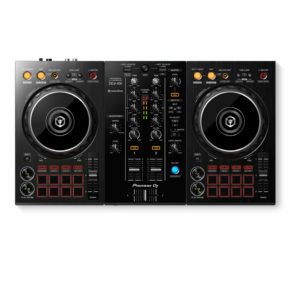 In close cooperation a 2-Deck ‘fun to use’ variant of the world’s popular DJ software Serato has been specially developed for the Beatmix. 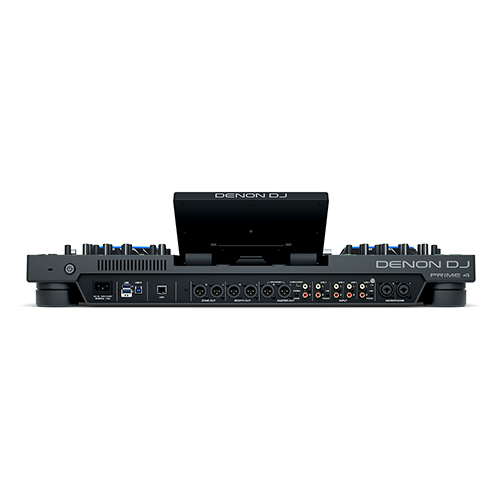 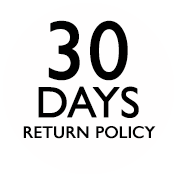 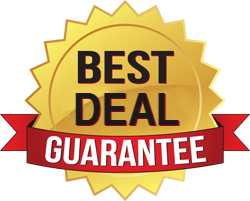 The seamless integration of hardware and software therefore works completely Plug ‘n Play. 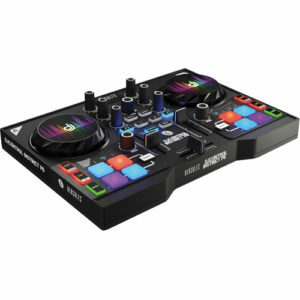 An ergonomically designed, club optimized 2-channel mixer layout lets you intuitively work with the Beatmix: Dedicated EQ and gain controls, quality Linefader, an extremely smooth-running crossfader, 16 multi-color drum pads and two extensive effect units are your creativity available. 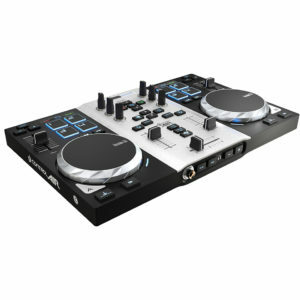 Ultra-flat, touch-sensitive jog wheels with aluminum platters and a diameter of 14.4 cm guarantee punctually precise beat matching, fast forward and rewind within a track and authentic scratch behavior. 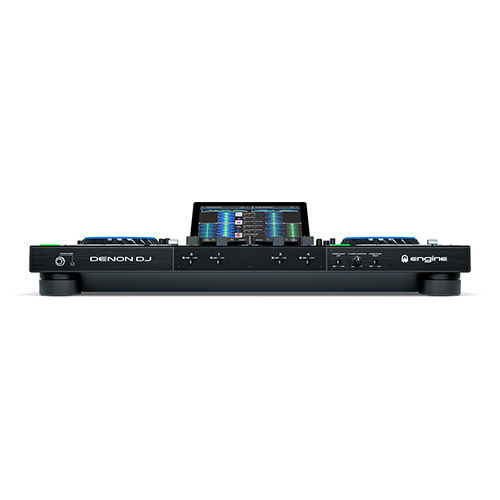 The rubberized pad section is the trigger Office for your creative ideas in the mix: The 3 cm large drum pads are used to control cue points, firing loops, select different loop lengths and triggering samples. 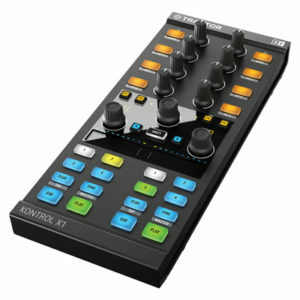 The colour-coded trigger pads provide visual feedback on the status and selection on the selected mode, always have everything in sight, even in a dark location. 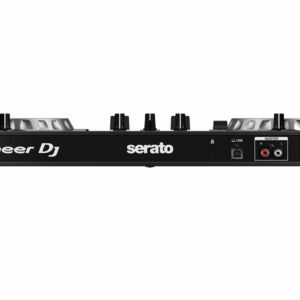 Another special feature is the sophisticated control of the Serato sampler: In addition to a dedicated volume fader allows the samples to start and stop on the pad section. 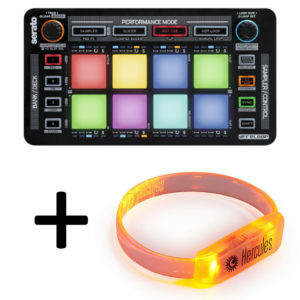 The Reloop NEON is a USB-bus-powered modular effects controller designed specifically to work with Serato Sample Pack 6 as well as other MIDI-mappable performance programs. 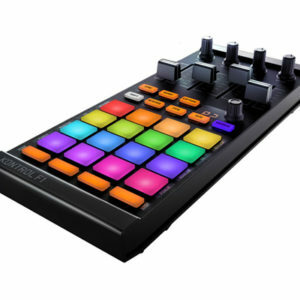 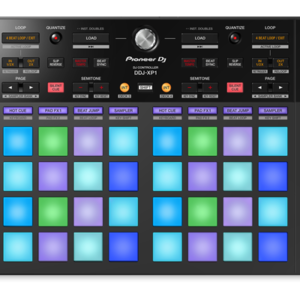 The controller features eight low-latency velocity-sensitive touch-sensitive color changing RGB drum pads with aftertouch and LED feedback that can be used for triggering samples, loops, and effects.